The Association Specialists is a professional association management company which has been bringing benefits to member-based organisations around Australia and New Zealand for over 30 years. Utilising leading edge data systems, experienced staff and modern practices, we are one of the most experienced and technologically advanced association, society and community management organisations in Australia. Providing both structured and flexible management solutions we support over 60 organisations including trade associations, government departments, professional societies and not-for-profit agencies. Outsourcing your secretariat services is a proven and viable solution to help your association reduce costs, improve efficiencies, decrease cycle times and support strategic initiatives. The fact that we have over 30 staff members and manage more than $20 million in client assets means that you will benefit from the infrastructure of a large organisation supporting your association. We can offer all or a selection of the services from our extensive range opposite, which are available to associations of all sizes and budgets. We have dedicated secretariat and governance specialists available for support throughout the week, guaranteeing that your association is expertly managed. Using state of the art systems we ensure that you have a membership database that is accurate, efficient and accessible to your members. 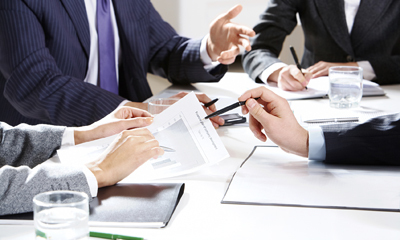 Our account managers are professionals trained in managing the logistics, agendas and minutes for your meetings. Running over 200 small scale meetings and over 20 major conferences a year, our events division is highly trained and experienced in delivering expert results. Whether its assistance with website development, content management or social media, TAS can help achieve your strategic communication goals. Tied strongly to both our association management and events divisions, our sponsorship managers devise and implement effective sponsorship strategies to boast revenue. Fully accredited CA and CPA team of in-house accountants that specialize in servicing associations and societies. With hosted or embedded Executive officer Services, we can provide you with an experienced leader without the risk of employing them yourself.